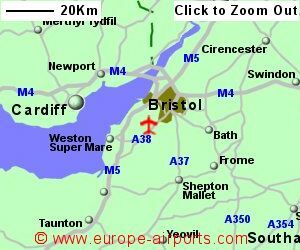 The Bristol Flyer coach service between Bristol Temple Meads railway station and the airport taking around 30 minutes at a cost of approximately 6 pounds, running every 10 minutes at peak times. There is a "Flyer" lounge at Temple Meads railway station, from where there are also bus services across the country. Express Coaches to Bristol Parkway also run every 10 minutes at peak times, at a cost of 10 pounds for the 50 minute journey, from where there are train connections across the country. National Express bus services connections include Plymouth (from 28 pounds), Exeter (from 21 pounds), Bath (from 11 pounds). In addition to the short and long stay car parks, the Silver Zone to the south of the airport is suitable for those staying more than 4 days and can be booked in advance. The Long Stay and Silver Zone have regular transfer buses to pick you up as soon as you park. The Premier Car park is located close terminal for those who wish to pay to park closer to the terminal, while the Rapid Pick-up area has a covered walkway into the terminal. 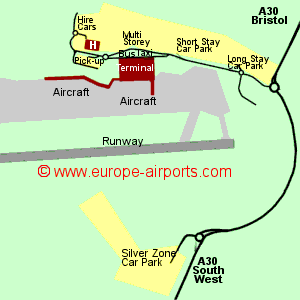 Bristol airport has 8 bars/restaurants, 12 shops, bureau de change, Internet access points, FREE WiFi Internet access (payment required after 60 minutes), an executive lounge with facilities for business and leisure travellers, and a selection of conference and meeting rooms with business and catering facilities available (located in a separate building to the east of the terminal). The airport has seen a number of expansion projects in recent years, including a terminal building extension and a 450m walkway to a pre-boarding area west of the terminal (resulting in passengers walking instead of being bussed to the plane). A 200 roomed Hampton by Hilton hotel is due to open at the airport in early 2017. 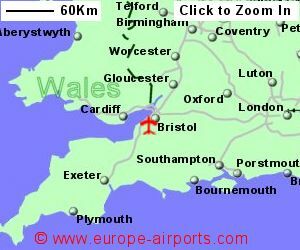 Bristol airport has Airport Carbon Accreditation, at the Reduction level. 8.2 million passengers passed through Bristol airport in 2017, an 8% increase from the previous year, making it the 9th busiest in the UK.